Fall is pretty much-considered pumpkin season. There are pumpkins everywhere on food, as decoration, even as costumes. However, even though pumpkins tend to be everywhere for the fall season, carving a pumpkin is not as great as it once was when you were a kid. In fact, pumpkin carving tends to become a tedious task. Therefore, instead of carving pumpkins to decorate your home, consider one of these trendy pumpkin decorating ideas. These pumpkin decorating ideas do not involve carving at all. But, we must warn you they’re as cute and as glamorous as they sound. While being a whole lot less-messier than carving a pumpkin would be. 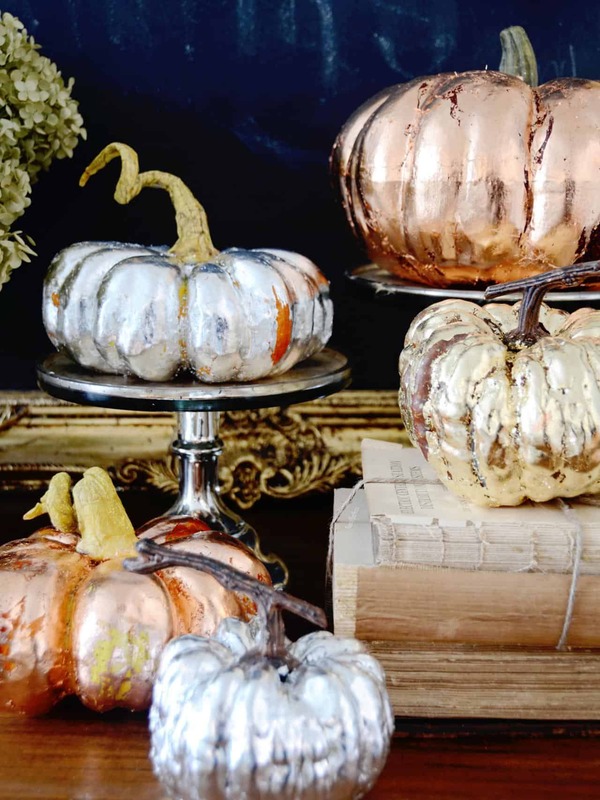 Metallic pumpkins are easy to recreate and make such a huge impact in any space they are placed in. If you want to be a bit more creative leave tiny specks of the orange color. This will create a double dimensional take on your ordinary pumpkin. Forget painting your pumpkins a traditional color. Instead, give them a metallic twist for a modern and elegant take on a classic. Use hues such as rose gold, gold, silver, and even glitter for the ultimate metallic effect. 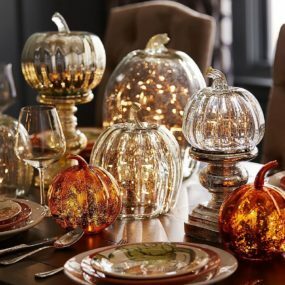 If you do not want to paint the entire pumpkin in a metallic hue consider painting a section of the pumpkin instead or even dripping the paint into of the pumpkin for a cool effect. Grabbing some inspiration from your favorite porcelain plates to create this elegant look. 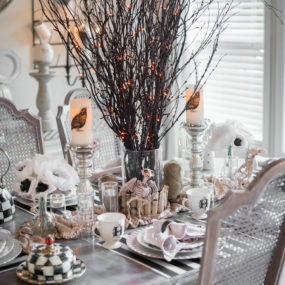 This is an upscale look that is very easy to include in your fall decor. If you can not find porcelain pumpkins consider painting your pumpkin with shiny paint and giving it the porcelain feel. Draw inspiration from a very unexpected source such as your porcelain plates. 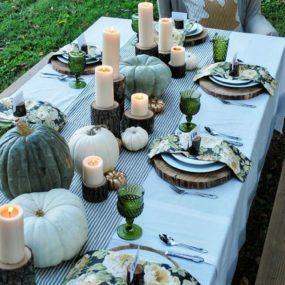 The intricate patterns on porcelain plates are excellent options when you are looking to decorate with pumpkins. 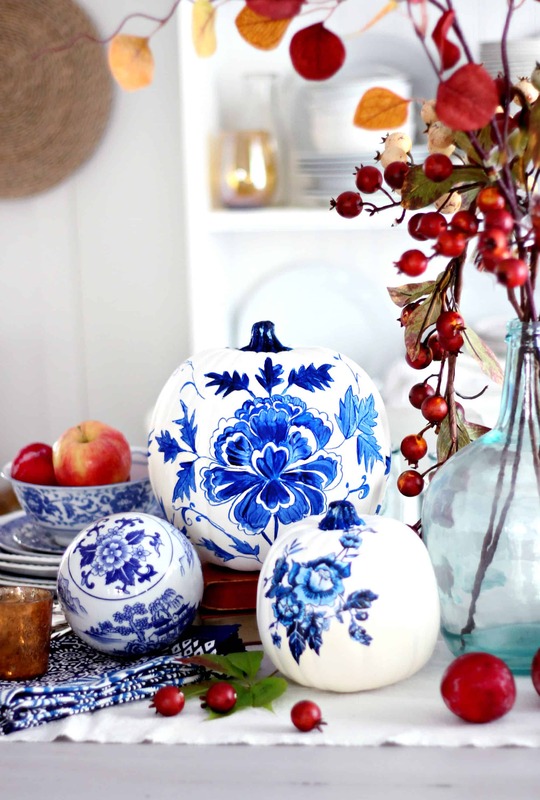 Select porcelain pumpkins with intricate patterns and colors for a twist on fall décor. 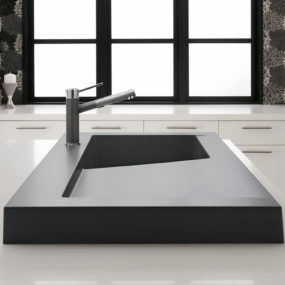 They push the boundaries between vintage, classic and modern, trendy. Forget just painting your pumpkin a bold color add glitter polka dots to them instead or you can do both. Consider using smaller dots on larger pumpkins for a cute twist and larger dots on smaller pumpkins this will create a contrast if you decide to use both in our decor. We know that colorful pumpkins are always a crowd pleaser. However, if you want to take it a step further add glitter into the mix. Glittery pumpkins are all the rage this fall season. 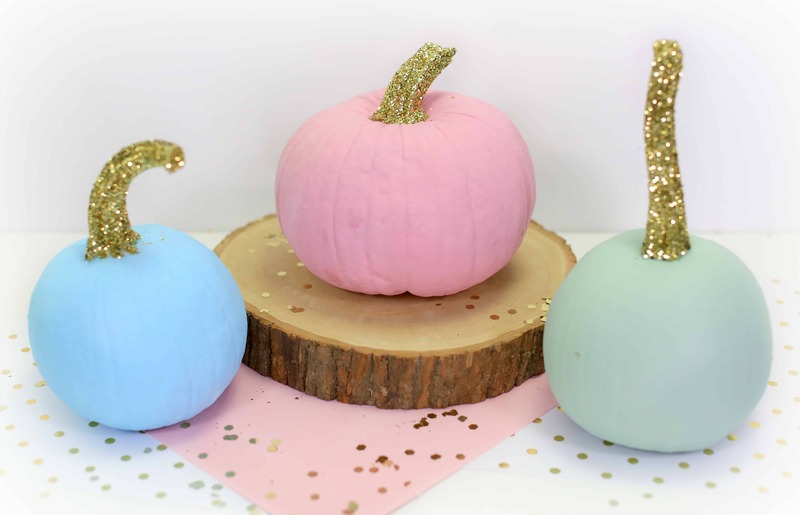 Take your favorite colored pumpkin and transform it into a show stopper by adding glitter polka dots. Black and gold apart and together add a layer of edge anywhere they are placed. Add studs, rhinestones or even crystals for an added hint of edge. You can mix the black and gold paint together and use that or you can choose to use golden accessories to create the look. Black is also taking center stage this fall season especially when it is paired with gold. Black pumpkins are extremely popular this season, because of how edgy they are. 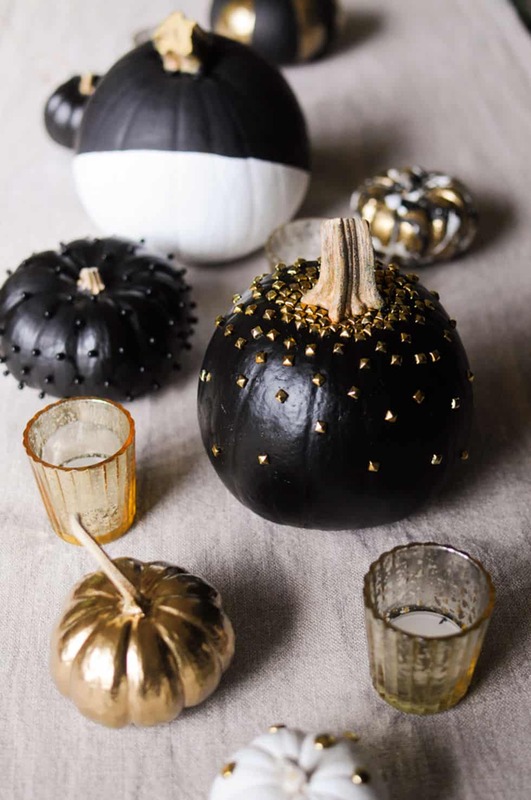 Add gold accents or even gold studs to add to the edgy feel of these pumpkins. Choose a ribbon with a pattern on it for an added layer of dimension. You can also choose to tie the ribbon in multiple different patterns for a cute addition to the look. Keep the pumpkin bare or you can even paint it the options are endless. Take your favorite pumpkin and add a ribbon to the stem. Doing so takes your pumpkin to the next level while still being festive and seasonal plus let’s not forget it is a very simple task to do. 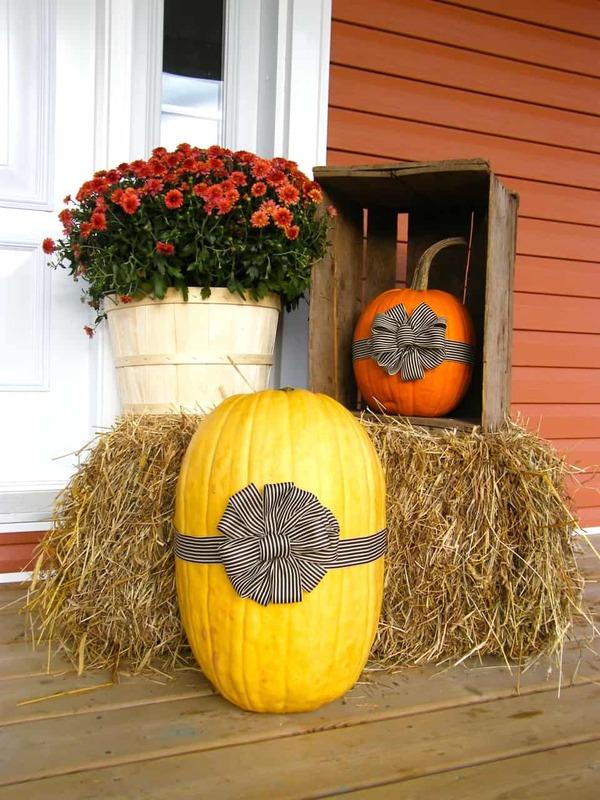 You don’t even have to paint your pumpkins just simply add a ribbon on the stem and you are good to go. Adding brush strokes to your pumpkin is a modern twist on a painted pumpkin. 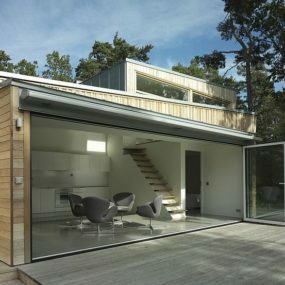 Not only do you want to paint the outside but you want to add brush strokes to give it that modern feel you seek. Cut down the stem to give the brush strokes the ultimate focal point. Yes, you read that correctly instead of painting your entire pumpkin paint brush strokes. Painting brush strokes on your pumpkin give it an artsy, upscale feel that is actually extremely easy to recreate in multiple different colors. You can even use metallic paint colors for a quick metallic feel. 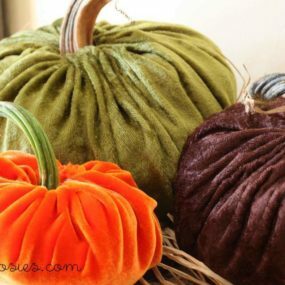 When it comes to multicolor pumpkins choose a color you normally would not consider using for fall and then select a metallic tone for the second. This will brighten up the pumpkin and give you a second layer of color that is also bright and modern. As an alternative to using one color use two or more. When painting your pumpkin, choose more than one color. 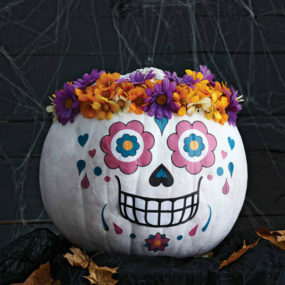 You can paint them or you can even dip your pumpkin into the paint for a less symmetrical feel and a more abstract look. 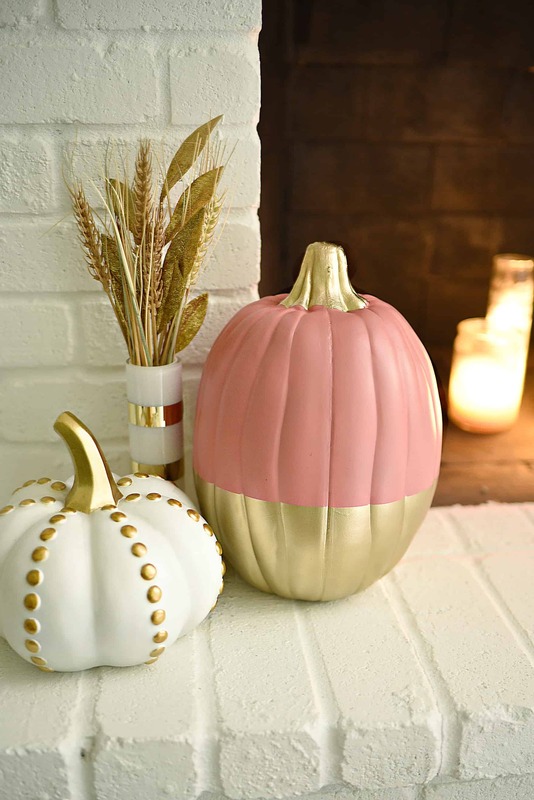 Paint your pumpkin in an unusual color such as pink for fall for an added touch of modern to your decor. You can even trim the stems to make them different sizes and give your pumpkin decor a cute little twist that everyone will be asking about. 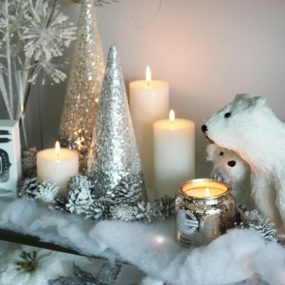 Place them on your porch or as a centerpiece for your table. 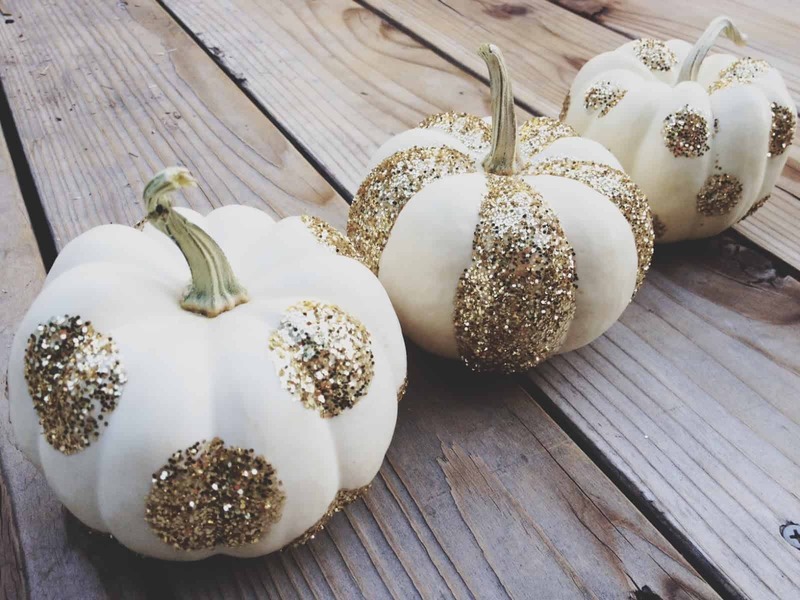 If you do not want to add glitter all over your pumpkin, but still want a glittery touch to your fall décor the answer is to add glitter to the stem of the pumpkin as a substitute. Glitter the stem and keep the rest of the pumpkin as neutral as possible. Doing this will still give you the natural pumpkin feel while being modern and elegant. 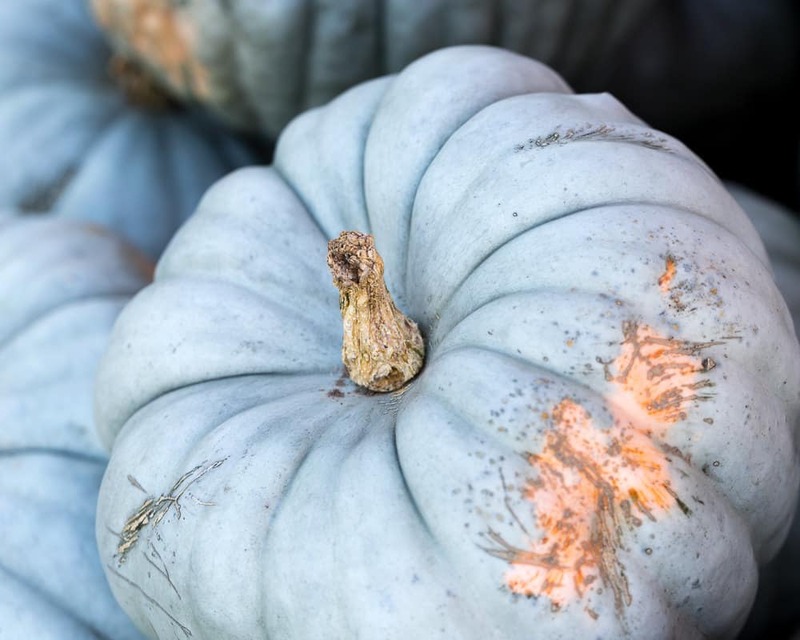 Matte blue pumpkins are all the rage this season especially as centerpieces for your fall decor tables. 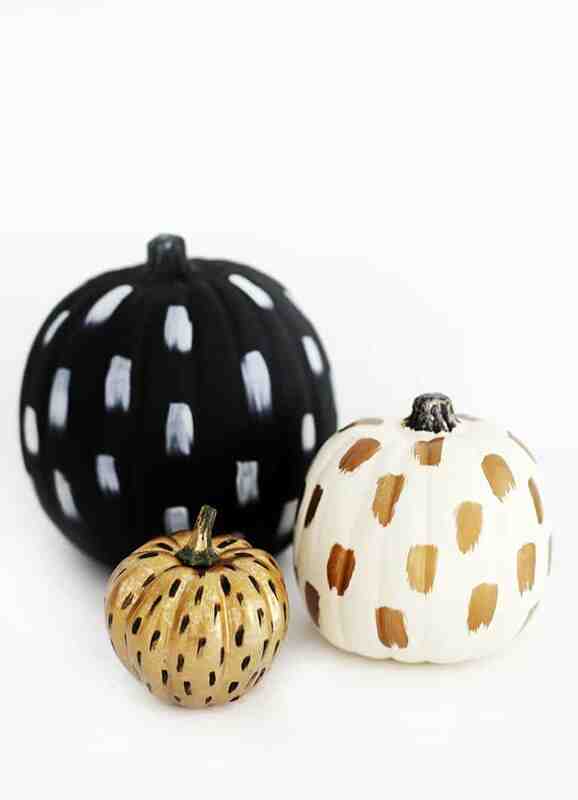 Take them outdoors and place them with other unpainted pumpkins for a striking contrast between the two. Have you ever seen a pumpkin you didn’t love in the fall season? Probably not. However, in place of orange and blue pumpkins its time to bring out the matte blue paint. Matte blue is one of those colors that is slowly growing on us for the fall season. Therefore, why not incorporate it into your fall décor as well. Choose baby blue shades as it will stand out against any other colored pumpkins you may have. Creating a pumpkin harvest can make your entire space appear more natural and organic all at once. There is no necessity of carving the pumpkin as you can easily add it on right on top. It is the easiest way of adding a floral touch to your fall decor. 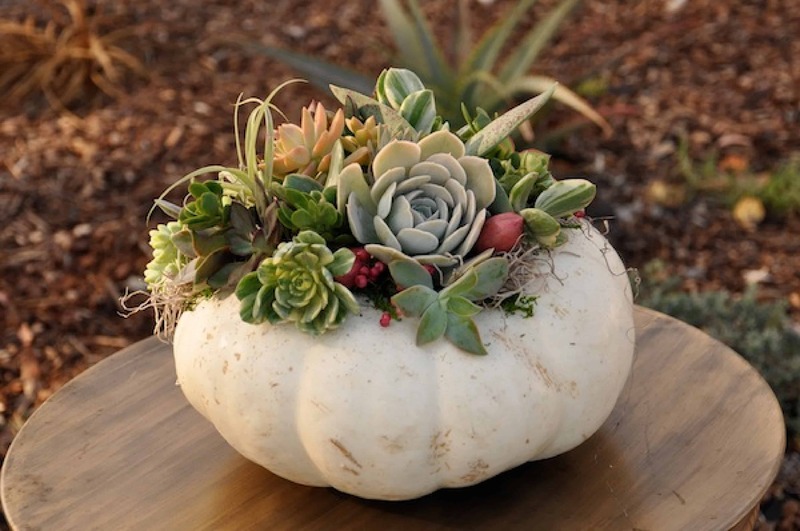 Keep all your décor as natural as possible by topping your pumpkin with a succulent harvest. The aesthetics of this harvest are simply beautiful. It is natural yet simple which works extremely well when you want a natural feel that adds color as well as beauty all at once. There is no need to carve out the top of the pumpkin simply remove the stem and set the harvest right on top. Pumpkins are the epidemy of fall. 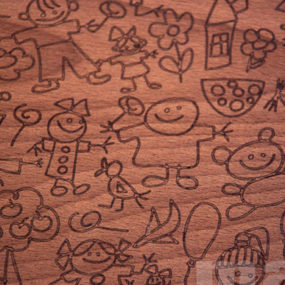 However, carving them is not so fun, why not try one of these trendy ideas instead. Let us know which one of these you personally like the very best in the comments below.